Organised by the 6,500 member strong North West UK Motorcycles and Bikers group, the third annual event will see bikes of all shapes and sizes visit the Illuminations. Motorbike salesman Simon Carter, 33, from Lytham, said the group expects to beat last year’s record of 342 riders. He said: “I think it will be bigger than last year, and we want to beat it. “It’s just a convoy of bikes, and looking behind you to see so many headlights is great. People riding bikes with engines ranging from 49cc scooters to 2,300cc cruisers have been invited to take part. Simon, who works at North West Honda Blackpool in Lytham St Annes Way, said: “It’s not a race, it’s just a bimble along the Prom. Simon set up the group several years ago on Facebook in a bid to meet new people. Its popularity has spiked, with members regularly meeting up to share their enthusiasm for all things motorbikes and to go on rides together. The group has also organised several meets for charity. It raised £3,000 for the Tuberous Sclerosis Association when it held its annual coast-to-coast ride on Easter Sunday, which started at Lytham Windmill and finished in Whitby. And last month it raised more than £1,150 towards a soft play area at Woodlands School in Whitegate Drive by riding from Blackpool to Yorkshire. Tomorrow night’s ride will start at North West Honda Blackpool, with members asked to meet there from 6.30pm. Free hot drinks will be handed out before riders set off when the sun sets. 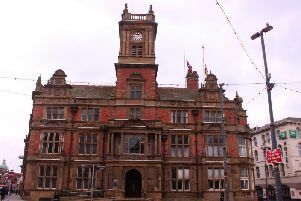 They will then travel along the Promenade to Red Bank Road in Bispham, where riders will tuck into fish and chips before making their way home.